I believe everyone has a unique story and that everyone’s story matters. Now I want to tell yours–I want you to be SEEN. With the Class of 2016 Terry Beigie Photography is participating in a new initiative to showcase you–the full, authentic, wonderful YOU! 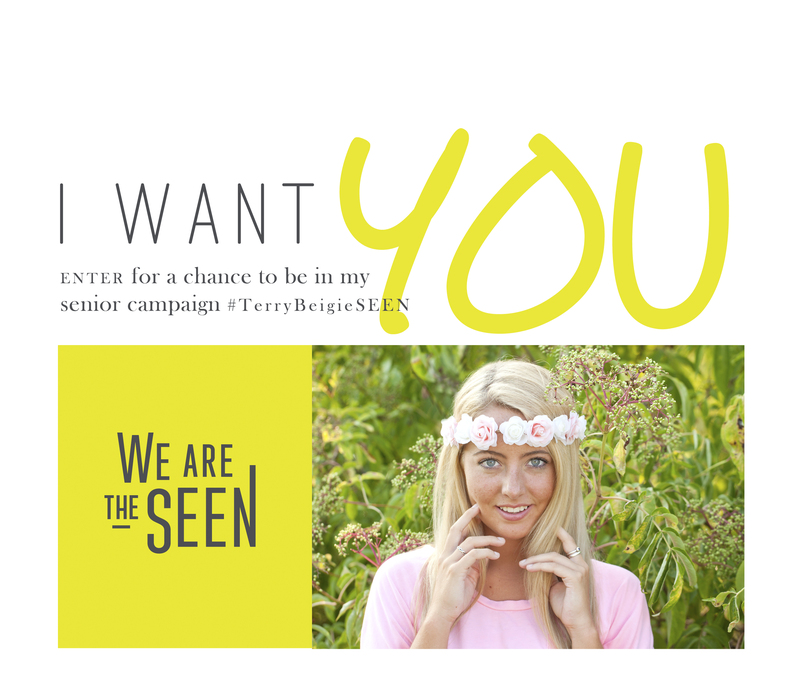 When you invest in #TerryBeigieSEEN you have the opportunity to participate in themed photoshoots, destination photoshoots, free photoshoots, entries into monthly creative photoshoots that have the potential to be seen on We Are The Seen website and in the SEEN magazine, and to become part of the 12 — giving you the chance to be photographed by some of the best senior photographers in the country! This is especially exciting if you want to go into modeling at all!! These photographers are the real deal! I’m looking for Central Virginia Class of 2016 members who enjoy being creative, who like to step out of the box, who want their story told and who want a fantastic experience! Fill out the form and contact me to get the fun started!